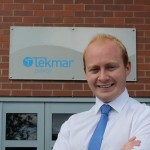 Tekmar Energy, a leading supplier of cable protection systems for the offshore wind and oil & gas markets globally, has announced an agency agreement with the Massachusetts-based Whitman Consulting Group Inc. (WCG). Beginning immediately, WCG will represent Tekmar as its commercial services agent for the full line of Tekmar products and services in the US, Canada and the Caribbean. WCG will focus on the offshore renewable energy markets for wind and marine hydrokinetic as well as oil & gas and high voltage offshore transmission. “North American projects are finally underway and the Whitman Consulting Group has the experience and expertise we were looking for to ensure we will be well represented in this important market.” said James Ritchie, CEO.